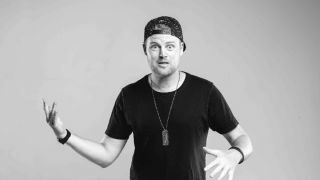 Hailing from New Zealand, Opiuo (AKA Oscar Davey-Wraight) produces fun-filled bass music and has performed alongside everyone from Bassnectar to MC Hammer. He performs both on his own, with his setup of drum machines and synths, and as part of The Opiuo Band, which plays his music 100% live. His latest single, Ginger Lizard, serves as a precursor to a new EP called SYZYGY 01, which will be released on 2 March. We asked Opiuo to come up with five pieces of advice that producers should heed. “Distractions are productivity’s worst nightmare. Especially social media, phone calls and texts. I turn off my phone or leave it in another room all the time to help me get in the zone. It keeps my mind clear and allows me to get lost in the music. “Sometimes the most mundane, weird, strange, crazy, adventurous processes turn out to be the best. They can often give you an incredible idea to start with, or something that makes a song unique, as quite possibly no one has tried it exactly like you before. If someone says ‘that won’t work’, go ahead and try it anyway. Because you never know - it just might work for you.